The "Hexakill" gamemode will be available from February 20 until March 2. Everyone knows that the traditional League of Legends match, or even the vast majority of matches in other MOBAs, consists of two teams of five players. But, for a limited time only, Riot Games is mixing things up a little, by introducing a new game mode: "Hexakill", that increases the team size to six. "Double junglers, roaming supports and six man wombo combos are all on the table for this new mode. Experiment with team comps and discover new metas as you seek to hear the ultimate announcement, "Hexakill." 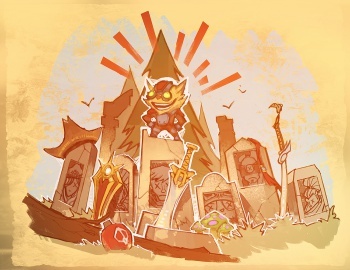 Anyone familiar with the game knows that a "Pentakill" is when a single champion manages to kill all five enemy champions in rapid succession, so, "Hexakill" is the natural progression of that. Aside from the additional player, the rules of the "Hexakill" gamemode are exactly the same as a regular Summoner's Rift game. Hexakill will only be available from Feburary 20 until March 2, as part of Riot's new "featured gameplay modes" rotating suite of wacky and experimental game modes. You may recall that featured gameplay modes kicked off last year with "One for all" - a gamemode that allowed multiple players to pick the same champion. This sounds like a fun new gamemode! I'm glad Riot is following through with its featured gameplay modes, it's a great way to shake things up for players without changing things permanently.